Recently eSMART21 was acknowledged as Certified Partner for Wireless Vehicle Detection. With this new certification, Nedap expands it’s global coverage of Certified Nedap patners. eSMART 21 is a South Australian-based tech company specialising in innovative smart parking technologies for local government and intelligent smart parking solutions for emerging smart cities. The company has also developed an automated parking enforcement system known as SMART ePark, which provides an efficient and cost-effective alternative to parking compliance officers. Using state-of-the-are technologies, the system collects visual, time-stamped evidence of car park over stayers and provides the data to service providers. “We are excited to be partnering with Nedap. 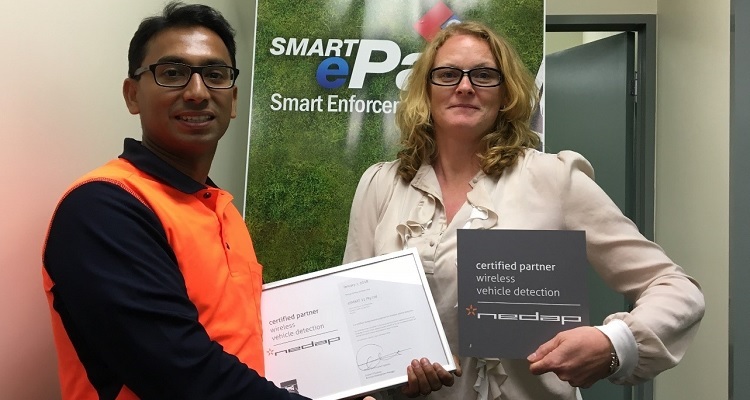 A combination of our solutions and Nedap’s highly accurate dual-detection sensors makes it perfect for reliable enforcement, app guidance and payment”, according to Jega Balakrishnan, CEO of eSMART21.